Looking for a space to celebrate? Let me introduce you to Haven Street Ballroom, Baltimore’s newest industrial, airy (the inside is all white!) and quirky event venue designed with your wedding day in mind. From the founder of Main Street Ballroom in Historic Ellicott City, Haven Street Ballroom is nestled between a brewery and an axe-throwing bar in the heart of an industrial neighborhood easily accessible from I-95 and right down the street from my favorite East Baltimore neighborhoods, Patterson Park and Canton. 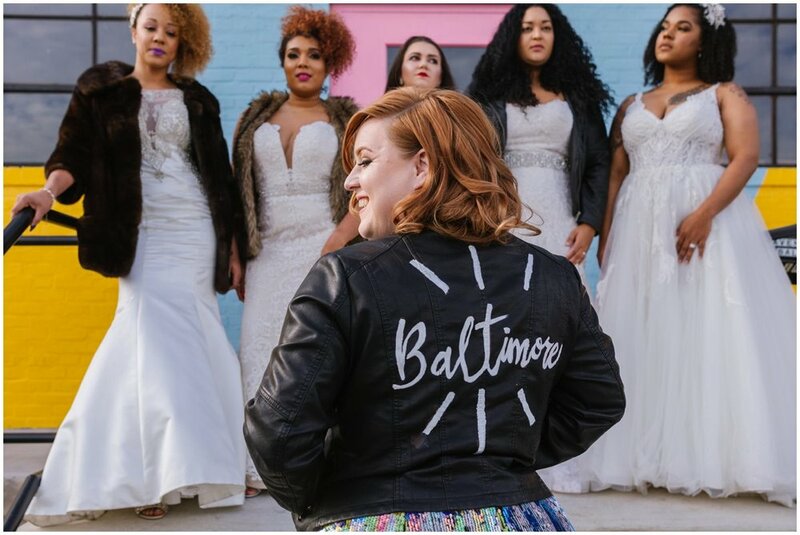 Currently under construction but accepting bookings for events on or after May 1, 2019, I had the opportunity to capture these branding images with real Baltimore brides and it couldn’t have been more fun! Think champagne opened with axes (I stayed back!) after learning the ropes next door at Urban Axes and ending our time with a beer at their other next door neighbor, Monument City Brewing. Designed with photography in mind, all couples are welcome at Haven Street Ballroom. This historic warehouse will continue to have an industrial feel once renovations are complete, that celebrates its eclectic look and truly is a blank slate with character, the perfect place to bring your vision to life and celebrate your wedding day in Charm City! With warehouse venues and industrial chic weddings becoming so popular, what makes Haven Street Ballroom unique? The minimalist policies and flexibility allow you to make the venue all your own. The flexible indoor/outdoor floorplan and unprecedented rental window of 8am-midnight, add value to your special event by giving you the freedom and creativity to create a truly customized celebration. How many guests can be accommodated for a seated dinner? 200+ guests can be comfortably accommodated for a seated dinner with room for a dance floor, but the space is also easily divisible for smaller events. In a private gated, surface parking lot, just steps from the front door. How many events are hosted per day? If you book the entire venue, then you are the only client on the day of your event. How early do couples have access to the space on their wedding day? As early as 8 a.m. for set up and as late as midnight for cleanup... and there is no charge for that extra time. 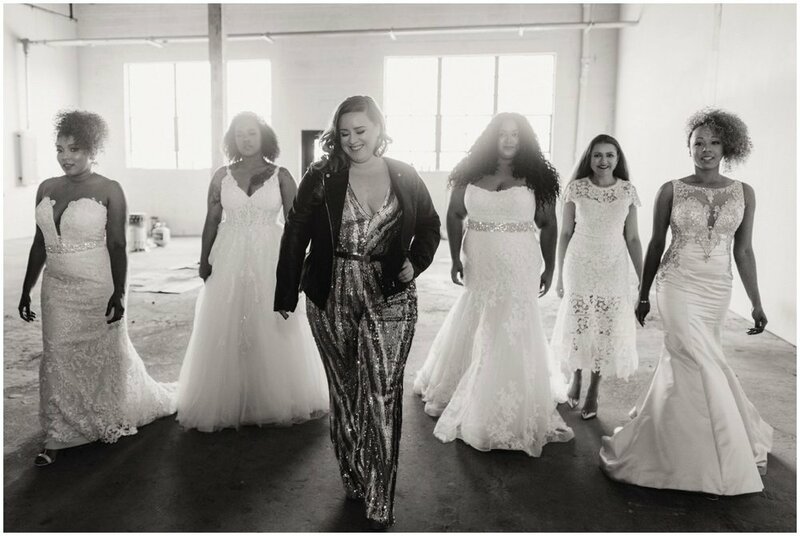 Are there spaces for the bridal party to get ready on site? A private, fully-furnished bridal suite will be available with a private dressing area and hair & makeup stations. Do couples have access to the entire facility on their wedding day? Are chairs and tables included with rental of the space? Tables and chairs for 120 guests are included with the rental of the space. All licensed and insured caterers are welcome at Haven Street Ballroom. Is a representative from the venue going to be on-site for the duration of the event? Yes, an on-site venue manager will be with you throughout your event. What does it cost to host a wedding at Haven Street Ballroom? Introductory pricing is exclusively for clients who book their event while the Ballroom is still under construction. See early 2019 rates here. Is the facility handicapped accessible? Yes, the venue is 7,500 square feet of indoor space and 3,500 square feet of optional outdoor space all on one level.